With the Fourth of July festivities just around the corner, area residents are preparing for the merriment in all sorts of ways. What is your pleasure? Grilling out at Gravelly Point? A backyard gathering with family and friends? Braving the crowds on the National Mall to watch the fireworks? Or maybe you are more of the stay-at-home type. 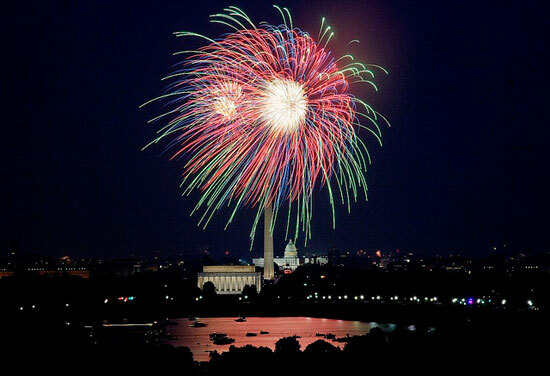 If so, we recommend watching the A Capitol Fourth concert on WETA Television. We hear it’s really good. Well, 150 years ago, there weren’t so many options but Washingtonians still put on quite a celebration for the nation’s birthday. 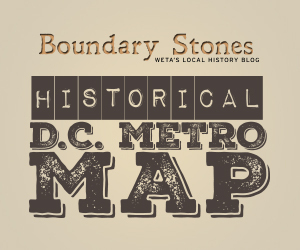 Check out this account from William A. Gordon, who grew up in Georgetown during the 1850s. Sounds kind of tame and academic compared to today’s activities. And, when most of us think about the Fourth of July now, we don’t necessarily associate the holiday with churches or schools as it seems was the case in Gordon’s day. But really, it’s not all that different when you think about it. Then as now, the nation’s birthday was marked with lots of food, lots of civic pride, and lots of patriotism. Plus, Gordon also remembered that “The needs of the town required many taverns.” Add a few thousand of dollars worth of fireworks to that and it sounds more like what this Fourth will be for many Washingtonians. Gordon, William A. "Recollections of a Boyhood in Georgetown." Records of the Columbia Historical Society. (1917): 121-140. In 1964, when DC wouldn’t do anything about the rat problem in Shaw, Julius Hobson gave them an ultimatum: fix the problem, or have it in Georgetown. It seems a lot of early visitors to Washington were skeptical about the city. Englishman Charles Janson didn't mince words in 1807.